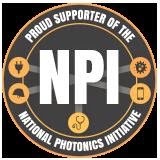 Photonics and optics continue to provide amazing new solutions for challenges such as better healthcare, new green energy sources and devices, and more efficient and capable manufacturing processes. Every week, the SPIE Newsroom publishes several new reports from researchers about their latest work. Here’s a list (with links to the full articles) of just a few of the life-enhancing photonics advances reported this year from around the world. For the first time ever, this year’s World Cup audiences were able to watch some of the matches in real-time 3D without having to buy a ticket. The Federation International Football Association worked with Sony and its production partners to deliver two dozen of the 2010 FIFA World Cup matches held in South Africa, and several sports broadcast television stations in Australia, the UK, and the US broadcast matches in 3D as well. Gooooooaaaaal!